I am finding the position of the Q button, on the X100F, is the only irritating design flaw on the camera. The same is true, though to a lesser extent, of the Q button on the X-Pro 2. I'm wondering a/ Is everyone else irritated by this?, and b/ Does anybody use the Q menu? As far as I'm concerned it is unnecessary, and if it is used by some, I'm sure they wouldn't mind if the button was somewhere else. 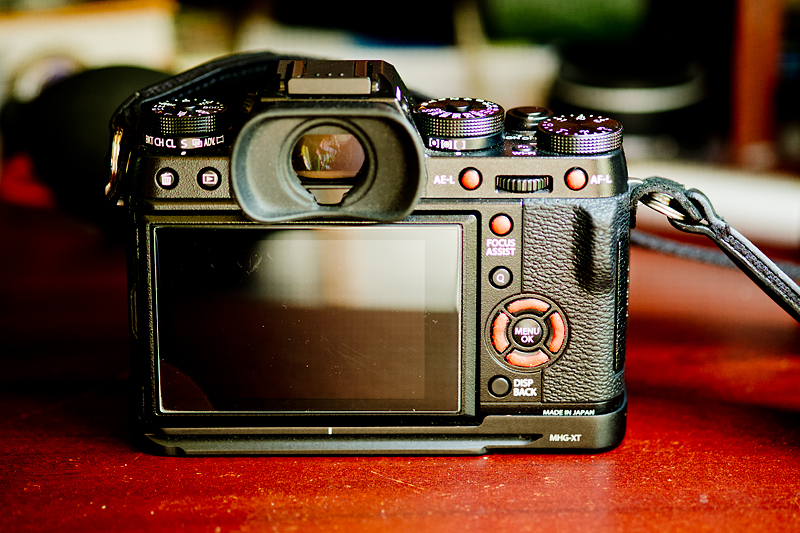 I use the Q manu a lot on my X-T1 and X100s. I use the Q button often on all four of my cameras (XE1,XT2,XPro1 and X100T). I do find that I sometimes press it accidentally when using the X100T in portrait format. I've read somewhere that a thumb rest can help to prevent this. Same here. Perhaps if there were more programmable buttons I would not, but it is quite convenient for a few quick shooting changes. I can never remember what I programmed the buttons to do so I basically don't use them. I'm only jut getting the hang of the function buttons on the XT2. When I used the XT1 I used AFL at default. 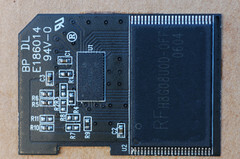 The front button to either face/eye detect depending if used or to ES/MS. The 4 buttons surrounding the menu were more difficult to remember so I set the top and the right buttons both to the same AF mode and the bottom and left buttons both to the other AF mode - easier to find that way too..
On the X-T1 I just have the four way controller buttons set to adjust focus points. They were difficult to feel and use until I added a little bit of Sugru to each one now they are great. I can't remember what I set the front button to. Must check. I reversed the AE-L and AF-L buttons because they seemed the wrong way around to me (added a dab of Sugru to each one as well). Me to. 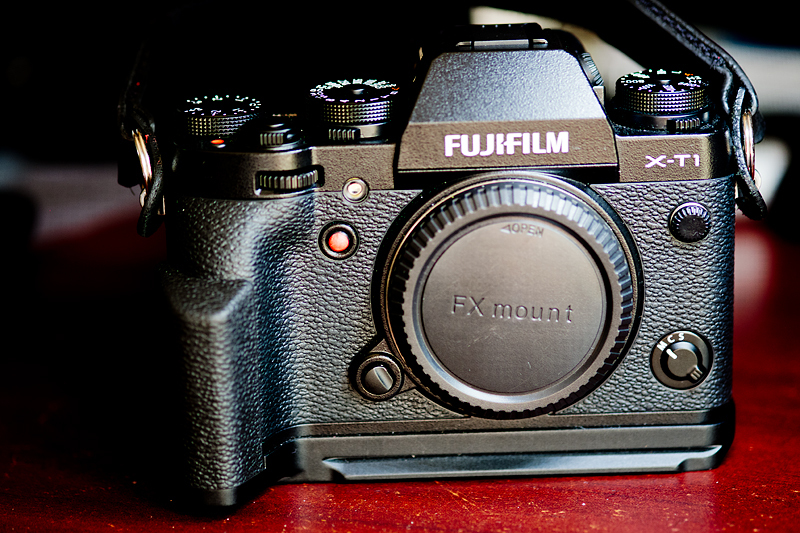 I sold it now but Fuji didn't learn from the XT1 so I've still had to add some black Sugru to the XT2 AE-L - AF-L buttons which are reversed as yours are for the same reason. I didn't have problems pressing the Q by mistake after adding Sugru to the most used buttons. A real boon on the XT2 is the joystick focus point control (where the Focus assist is on XT1. Very quick to use and a single click to return to center. XT2 focus assist moves to rear control wheel push-in. Having played with a couple of X-T2s now I think the joystick and Q button locations would be better ergonomically if they were swapped. The location of the Q button is exactly where my thumb at least wants the joystick to be. The joystick works okay where it is I just think it would be better if it moved. It would put it more where the X-Pro2 joystick is. Regarding the Q menu, the reason I don't use it is really because I have never worked out how. I have various functions assigned to buttons, but I'm not sure how to integrate the Q menu into my work flow. What are some examples of when you would use it? Primarily I use it for activating the self timer for tripod landscape shots and for changing the jpeg rendering of the image even if I'm shooting RAW but ultimately want b&w I change to a b&w jpeg setting so the EVF changes to b&w. 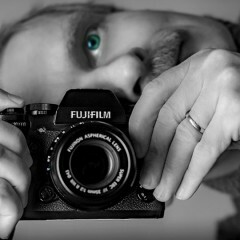 Most if not all of the Fuji X cameras now do allow you to have several Q menus settings that can be recalled so you could for example have settings (highlights, shadows, sharpening, etc) specific to b&w on one Q menu and have another completely different Q menu for landscapes or flash use or portraits. That way with one menu change (the actual Q menu you are using) you can completely reconfigure the whole camera for a different style of use. Don't ask me how though. 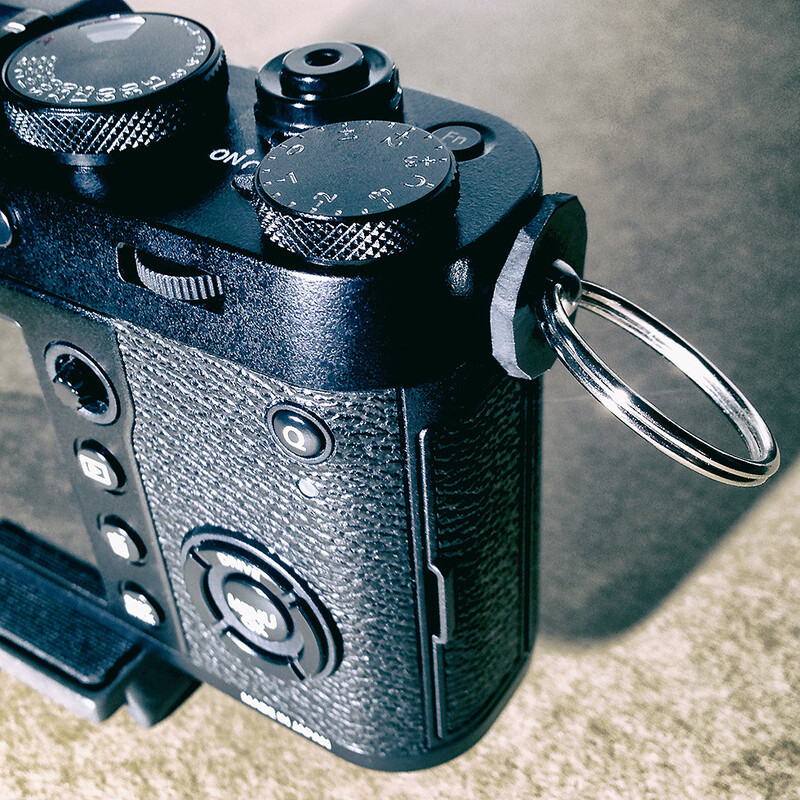 The position of the Q button was the first thing I noticed when I started using the Fujifilm X100F. The Q menu is very practical but I also often pushed the button by mistake. Solved the "problem" with a piece of rubber and a key ring that you can see in the photo. The ring supports my hand better and I do not accidentally press the Q button anymore.